Carpet remains the most popular flooring choice in residential settings. It's comfortable, cozy, and can create cohesiveness. This is why carpet is most often found in living rooms and bedrooms. Style options are endless when it comes to carpet. At Wills Carpet One Floor & Home in Batavia, NY, we carry a large assortment of carpets in several colors, patterns, and textures. Today's carpet is stronger than ever before and can stand up to every day mishaps. Speak with one of our flooring experts and discover the perfect carpet for your home. We can help match you to the best carpet for your home using our Select-A-Floor system. This system will help our sales people match you to a carpet that not only matches the needs of your home but also matches your personal style. As always, our exclusive carpet selection is backed by our award winning warranties. You can shop confidently with us knowing we can help you find the perfect carpet and have it protected from life’s unpredictable mishaps. All of our carpets are of the highest quality and come in a variety of pile types, colors, and fiber materials. We carry traditional carpet options in addition to popular carpet trends. Whether you’re looking for a bright patterned carpet for your playroom, a stain-resistant or waterproof carpet for your family room or a more subdued area rug for a study, we’ve got you covered. There are five main types of carpet: level loop, patterned, textured, frieze, and plush. Carpet flooring is well suited for homes with little to no traffic, or homes with children and pets roaming freely. We can help you find a carpet that suits your home and lifestyle. Carpets are more durable than you think and can handle places around your home with heavy traffic like hallways, stairs, and even living rooms. Transform rooms you like to relax in into cozy and inviting spaces as your own personal retreat. Places you should avoid installing carpet in include bathrooms and kitchens because of the daily moisture. We also offer waterproof carpets. Waterproof carpets are usually made with fibers that are resistant to moisture and feature a backing that prevents water from seeping through to your carpet padding and subfloor. Waterproof carpets are perfect for children’s playrooms and even finished basements. Shop with confidence. We carry several name brand flooring as well as Carpet One exclusive brands such as Lees, Tigressa, and Innovia. Our products have great warranties. Ask your flooring expert about the Beautiful Guarantee which says if you’re not in love with your carpet, we will replace it for FREE*. To learn more, contact Wills Carpet One Floor & Home or visit our showroom in Batavia, NY. 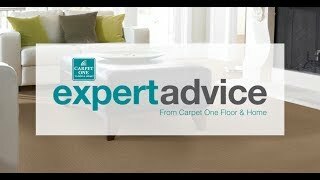 Do I need Carpet Padding? Carpet cushion, also known as carpet padding, is a protective barrier between your carpet and subfloor. Carpet cushion not only adds more comfort but can also protect your subfloor from unwanted stains and moisture depending on the type of pad you purchase. Keep your carpets in pristine condition with our carpet fading tips. Pet hair can be tricky to remove from your carpets, and vacuuming doesn’t always get the job done. Learn some tips by following the link below.